Hyderabad, November 10, 2016: Sapien Biosciences, a niche biotech venture committed to develop novel cutting-edge medical diagnostics backed by Apollo Hospitals Enterprise Limited announces its partnership with OncoStem Diagnostics, to launch “CanAssist-Breast”, a robust and cost-effective test to predict the risk of breast cancer recurrence in early stage hormone positive and Her2 negative Breast Cancer patients. Sapien Biosciences is a bio-repository that enables the development of cutting edge diagnostics and therapeutics for personalizing medicine. Patient samples and associated medical data that are systematically collated and ethically banked at Sapien are a necessary resource for rapid validation of novel diagnostic tests. Announcing the partnership with OncoStem Diagnostics Dr. Jugnu Jain, Co-Founder and CEO – Sapien Biosciences said, “We are very excited to be part of this launch of CanAssist–Breast which represents a paradigm shift in customizing Breast cancer treatment. Development of accurate recurrence diagnostics in cancer is particularly dependent on the availability of reliable retrospective information which is acutely lacking in India. To validate CanAssist-Breast, we mobilized five Apollo hospitals data archives to piece together complete 5 years treatment and outcome data for over 6500 Indian breast cancer patients”. In India, about 1,50,000 patients are diagnosed of breast cancer every year and currently there are no affordable tests to predict the risk of cancer recurring. As a result, majority of early stage patients with low risk of recurrence are perhaps over-treated and thus bear toxic effects of chemotherapy treatment (CT) that reduces their ‘quality of life’. Additionally, studies have proven that the benefit of chemotherapy in such patients is known to be 10-15% suggesting many patients can be spared conventional CT. Highlighting the importance of CanAssist-Breast, Dr. Manjiri Bakre, Founder and CEO, OncoStem Diagnostics said, “CanAssist-Breast is our flagship product and is a boon for patients as well as doctors. It enables clinicians to assess the aggressiveness of the tumor and personalize and optimize therapy for their patients. The canAssist-Breast test can spare over 60,000 Breast Cancer patients in India and over 660,000 patients worldwide every year from the severe effects and unnecessary costs of chemotherapy-associated toxic”. CanAssist-Breast test uses clinical parameters in combination with novel biomarkers quantified using a standardized technique which measures protein expression accurately. This information is integrated into a statistical algorithm to stratify patients as “low or high risk” for recurrence. “In India, due to a variety of reasons ranging from awareness to culture, Breast Cancer patients are diagnosed much later, with only 5-8% of patients being Stage 1 at detection. Consequently, the globally available recurrence prediction tests are not very impactful in geographies such as India and SE Asia due to their utility being limited to only Stage 1 patients and the prohibitive cost of the tests. CanAssist-Breast test can be used on a much wider pool of patients up to Stage 2B, and is priced at 1/6th the price of competitor tests and therefore aims to touch the lives of millions of patients worldwide”, added Dr Bakre. CanAssist-Breast is ISO-13485 accredited, and expects to acquire the CE mark by November 2016. These accreditations will enable the launch of the test in global markets later this year. The market for a breast cancer recurrence diagnostic space is currently valued at $ 3 Billion globally and is expected to grow at 18% CAGR. Clinical validation of CanAssist-Breast in India and the US demonstrates a high NPV (negative predictive value) of 95%, which is a measure of the accuracy of the test. The results of the global validation study are currently under review for publication. It was in 1983, that Dr. Prathap Reddy made a pioneering endeavor by launching India’s first corporate hospital – Apollo Hospital in Chennai. Now, as Asia largest and most trusted healthcare group, its presence includes over 8,600 beds across 50 Hospitals, 1,632 Pharmacies, 92 Primary Care and Diagnostic Clinics, 100 Telemedicine units across 10 countries. Health Insurance services, Global Projects Consultancy, 15 colleges of Nursing and Hospital Management, a Research Foundation with a focus on global Clinical Trials, epidemiological studies, genetic research and the upcoming first Proton Therapy Center across Asia, Africa and Australia. In a rare honor, the Government of India issued a commemorative stamp in recognition of Apollo’s contribution, the first for a healthcare organization. Apollo Hospitals Chairman, Dr. Prathap C Reddy, was conferred with the prestigious Padma Vibhushan in 2010. For more than 30 years, the Apollo Hospitals Group has continuously excelled and maintained leadership in medical innovation, world-class clinical services and cutting-edge technology. Our hospitals are consistently ranked amongst the best hospitals globally for advanced medical services and research. About Sapien Biosciences Pvt. Ltd.
Sapien Biosciences is a joint venture between Apollo Hospitals & Saarum Innovations that has created a world-class biobank and personalized medicine company that leverages Apollo’s leadership position in healthcare and Saarum’s cutting-edge life sciences research expertise for novel clinical and R&D applications. Sapien’s primary objective is to use its high-quality bio-repository that integrates ethically consented human samples with associated medical, pathological & treatment data and utilize this resource to develop & deliver high-end diagnostic applications. Further Sapien has entered into an alliance with Apollo Hospitals that allows Sapien to front-end Apollo’s personalized medicine initiatives. This allows Sapien to bring novel cutting-edge diagnostics to Apollo, either on its own or in collaboration with best-of-breed global institutions world-wide thereby enabling world-class healthcare to improve patient outcomes. Sapien has fully functional labs located within the Apollo Health City Campus in Hyderabad. 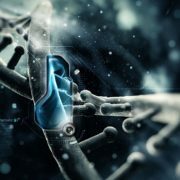 For more information about Sapien Biosciences, visit www.sapienbio.com. About OncoStem Diagnostics Pvt. Ltd.
Sapien is collaborating with Dr. Joglekar’s group at Boston University to mine Sapien’s cardiac patients database. Our goal is to jointly analyse patterns of usage of different stents, blood thinning medicines, co-medications, myPlatelet assay , follow-up visits and monitoring with an eye towards optimizing implementation of personalized treatment to improve patient outcomes. Over the last three years, Sapien Biosciences, working with leading cardiologists Dr. PC Rath and Dr. PK Sahoo at Apollo Hospitals, and Dr. A Yerramilli at SV College of Pharmacy, have collated a detailed dataset of approximately 800 coronary artery disease patients who underwent a PCI-stent procedure. These patients were prescribed various anti-platelet therapies (APTs), branded or generic versions of clopidogrel, prasugrel, ticagrelor, as part of their maintenance regimen for a year or more to prevent restenosis. About half of these patients also took Sapien’s myPlatelet test (myPlatelet brochure), a combination genetic and functional test, to check the effectiveness of the APTs they were prescribed. These ~800 patients have been followed up for a year to determine the success of their treatment regimens and document any significant adverse events. This rich dataset is being used to perform cost-benefit analysis of different treatment paradigms in the Indian healthcare delivery context. Appropriate ethical IEC/IRB clearances have been taken by each party to share de-identified data. These analyses are expected to be published and pave the way for additional studies including assessing the impact of patient engagement in improving outcomes. 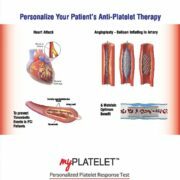 myPlatelet test is a combination of genetic profiling for the presence of common variants of CYP2C19 gene that affect the bioavailability of clopidogrel , and a platelet function test for evaluating platelet reactivity. It is highly specific and sensitive compared to the commonly used Light Transmission Aggregometry (LTA), and correlates well with the plasma levels of anti-platelet medication. It is able to detect high risk of thrombosis or blood clotting as well as excessive bleeding. The value of this assay in preventing post-procedural major adverse cardiac events or MACE in patients who underwent PCI has been demonstrated in several studies world-wide as summarized in this publication. Sapien is India’s largest commercial biobank, repurposing human medical waste to discover and validate clinically useful prognostics, diagnostics & theranostics to optimize the diagnosis and treatment of individual patients. It has curated over 55000 patients’ samples and associated data spanning most diseases plus access to more than 1.5 million healthy and diseased individuals. It follows Indian medical council (ICMR) guidelines and works closely with Institutional Ethics Committees to ensure ethical and regulatory compliance. Dr. Nitin Joglekar is Associate Professor of Operations and Technology Management, and Dean’s Research Fellow, at Boston University Questrom School of Business. His interests span development of products, supply chains and customer engagement at established and entrepreneurial organizations. “Epidemiological and survival analysis of triple negative breast cancer cases in a retrospective multicentre study” comprising 257 TNBC cases collated from across five cancer centres in India has been accepted for publication. It should be out in a few months. Next one summarizing data from >6500 Indian breast cancer cases, of all receptor types, is under preparation. Our goal is to exceed 10,000 cases within the year. Our database of breast cancer samples, complete diagnosis and treatment info, combined with 3-5 year outcomes data offers tremendous opportunity to study Indian risk factors, identify optimal treatment paradigms for each subtype of patients, analyze cost-benefit ratio of different surgical/chemo/RT treatments, etc. We expect using them to also develop better prognostic, diagnostic and theranostic tests to improve survival in breast cancer patients. Background: Developing countries contribute substantially to breast cancer mortality worldwide, as early-stage diagnosis and effective adjuvant therapies have decreased breast cancer-specific mortality in developed countries. Unfortunately, the costs of breast cancer screening programs and treatments limit translation of these results to developing nations. Methods: We retrospectively analyzed the tumor characteristics and modalities of management in 454 patients with Stage I-III invasive breast cancer in a single tertiary cancer center (Rajiv Gandhi Cancer Institute & Research Center) in New Delhi, India treated in 2010. Results: The median age at diagnosis was 52 (range 25-88). Stage II tumors predominated, with tumors ≤ 5 cm in size in 93% of patients. 84% of patients underwent modified radical mastectomy, while 14% underwent breast-conservation therapy (BCT). Overall, 79% of patients received adjuvant or neo-adjuvant chemotherapy and 49% received radiotherapy. Receptor characterization revealed: ER+/PR+/Her2-, 52.9%; ER+/PR+/Her2+, 10.2%; ER-/PR-/Her2+, 13.8%; and triple-negative, 23%. Of the ER+/PR+ patients, 58% were node-positive, 79% received chemotherapy and 100% were advised hormonal therapy. Of the Her-2 positive patients, 23% received trastuzumab. Conclusions: Breast cancer management strategies vary in Indian and US populations. Indian patients are younger with tumor sizes amenable to BCT followed by loco-regional radiotherapy. Despite this, only a minority of patients opted for BCT. In the hormone-positive population, majority of patients received chemotherapy in addition to hormone therapy due to high incidence of node positivity, tumor size>2 cm and unaffordability of genomic assays. In the Her2+ population, trastuzumab use was limited, reportedly due to cost. Overall, management is adapted to limited resources and follow-up is inconsistent. It may be beneficial to set up Indian national breast cancer guidelines to promote multidisciplinary management, describe the molecular features of disease in this population, and evaluate the cost-effectiveness of expensive diagnostic and therapeutic interventions. 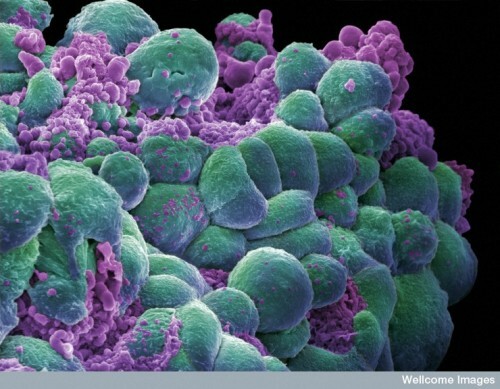 This will encourage rational policies and help to create a comprehensive cancer treatment network. Glycoprotein NMB (gpNMB) is a transmembrane protein and tumor-associated antigen that is expressed at higher levels in certain malignancies than in normal tissues. Glembatumumab vedotin (CDX-011) is an antibody-drug conjugate consisting of a fully human IgG2 monoclonal antibody against gpNMB linked to the microtubule inhibitor monomethyl auristatin E (MMAE). By targeting and binding to cells overexpressing gpNMB, the antibody is internalized, allowing for intracellular release of the cytotoxic MMAE. 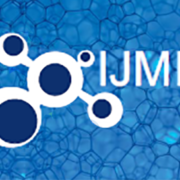 A prior phase I/II trial of CDX-011 for refractory advanced breast cancer demonstrated an acceptable toxicity profile and an objective response rate (ORR) of 12% (NEJM JW Oncol Hematol Nov 2014 and J Clin Oncol 2014; 32:3619). In the subset of patients with triple-negative breast cancer (TNBC), the ORR was 20%, and progression-free survival (PFS) was 4.1 months; in TNBC patients with gpNMB-expressing tumors the ORR was 25%, and the PFS was 5.1 months. Now, investigators have conducted an industry-supported, randomized phase II trial (EMERGE) of CDX-011 versus investigator choice of chemotherapy (IC) in 124 refractory breast cancer patients with tumors overexpressing gpNMB (defined as ≥5% of malignant epithelial or stromal cells with any expression). ORR was similar overall for patients receiving CDX-011 or IC (6% and 7%, respectively) and for those with gpNMB-expressing tumors (12% for both). ORR was higher with CDX-011 versus IC in patients with ≥25% of tumor cells expressing gpNMB (30% vs. 9%) as well as in TNBC patients (18% vs. 0%) and TNBC patients with overexpression of gpNMB (40% vs. 0%). Dose reduction occurred in 25% of patients in both treatment arms. The most common CDX-011 toxicities were rash, fatigue, nausea, neutropenia, and neuropathy. The attraction of targeted therapy with an antibody delivery system is that it directs the cytotoxic agent preferentially to the malignant cell population, potentially enhancing efficacy and minimizing systemic toxicity. The use of ado-trastuzumab emtansine for HER2-positive breast cancer demonstrates the success of this approach (NEJM JW Oncol Hematol Sep 2014 and J Clin Oncol 2014; 32:2750). The signal that CDX-011 is active in TNBC is exciting, but the observations from this study are based on very small numbers of patients. A larger, pivotal phase II trial (METRIC) is under way to more fully investigate this compound in TNBC. It has recently been identified that crizotinib significantly inhibits the tumor cells with ALK-fusion genes or ROS1-rearranged driver genes which encode constitutive tyrosine kinase receptors. 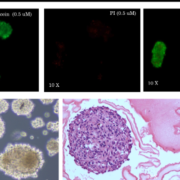 The emerging concept of lung cancer stem cells (CSCs) arises a question of the relationship between CSCs and ROS1 gene rearrangement. Lung non-small cell cancers are likely to develop due to the fusion genes characterized by EML4-ALK, which suggests the importance of fusion genes in tumorigenesis in the same way as chronic myeloid leukemia (CML) with Philadelphia chromosome derived from t(9;22). Apollo Hospitals with Saarum Innovations, launched its joint venture ‘Sapien Biosciences’ today at Hyderabad to create aworld-class bio-bank and personalized medicine company. 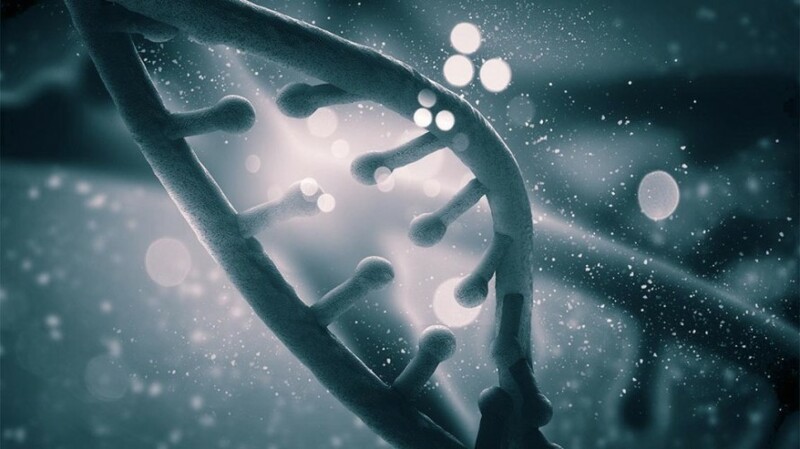 The bio-bank will comprise of collections of high-quality, ethically-consented and anonymized human samplesalong with associated medical & sample-level data across various diseases e.g., cancer, cardiovascular and diabetes. This will enable cutting-edge life sciences research and support the discovery & development of novel biomarkers, diagnostics & personalized medicine applications.Sapien plans tocollaborate with healthcare enterprises and drug discovery companies globally to study disease epidemiology, validate new diagnostics, identify new drug targets and evaluate new drugs. Sapien has exclusive access to the entire Apollo network for its bio-banking needs but expects to partner with additional research-oriented hospitals and clinics for their personalized medicine and bio-banking needs. Further Sapien has entered into an alliance with Apollo Hospitals that allows Sapien to front-end Apollo’s personalized medicine initiatives. This allows Sapien to bring novel cutting-edge diagnostics to Apollo, either on its own or in collaboration with best-of-breed institutions world-wide thereby enabling world-class healthcare and improving patient outcomes. Speaking on the occasion, Mr. Seemant Jauhari, CEO of AHERF said, “Apollo, through the Apollo Health Education & Research Foundation (AHERF), is spearheading a vibrant portfolio of innovative projects that will enable effective and affordable technologies for better treatment outcomes. Bio-banking & personalized medicine was one such initiative which is being realized with the launch of Sapien Biosciences. Sapien Biosciences also announces the launch of its first & novel personalized medicine test,‘myPLATELET, which determines patients’ response to their blood-thinning medicationand supports decision-making by their cardiologists to personalize therapy for better outcomes. This is the only test in India that combines both genetic and platelet function response to enable tailored anti-platelet therapy for each patient. Saarum Innovations has been set-up with the vision of utilizing human tissues, primary cells and stem cells to better understand disease biology, develop novel biomarkers and diagnostics, discover novel drug targets and drugs therapeutics that translate into better clinical successes. It is co-founded by a team of three seasoned life sciences R&D professionals,Sreevatsa Natarajan, Prithi Rajan and Jugnu Jain who collectively have over 60 years of global R&D experience.